Technology is transforming how we live, love, learn and earn but only 19% of the people who create it are women. 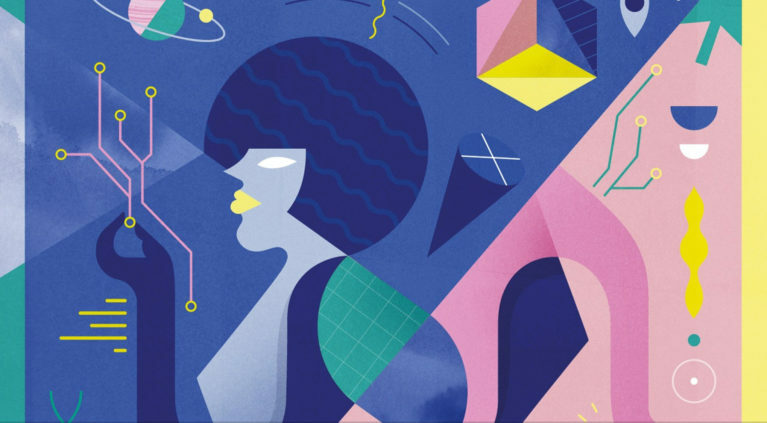 From Star Trek to Snow Crash, new technology is deeply influenced by science fiction – and women are often under-represented in the stories that inspire new innovations and inventions. 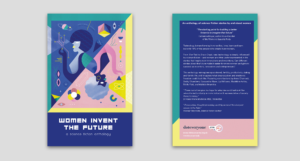 Can different stories about the future make it easier for more women and girls to succeed as inventors, innovators and entrepreneurs? This anthology reimagines space travel, fertility, productivity, dating and family life, and imagines what emancipation and electronic freedom could look like and features contributions by Anne Charnock, Becky Chambers, Cassandra Khaw, Liz Williams, Madeline Ashby, Molly Flatt, and Walidah Imarisha. Unfortunately, we don’t have a version of the anthology for Kindle. If you’re experiencing difficulties with downloading the epub it is worth checking that your iBooks app is up-to-date and there are no restrictions set in Settings that could be preventing the book opening properly.